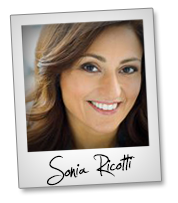 Sonia Ricotti – Unsinkable Bounce Back Big Evergreen Webinar Launch Affiliate Program JV Invite, More. Welcome to the JVNP 2.0 Update featuring a JV request courtesy of fellow JVNP 2.0 Partner Sonia Ricotti (Unsinkable Bounce Back Big Evergreen Webinar launch affiliate program JV invite), Buzz Builders (no less than SIX upcoming high ticket launches) and More … in Today’s grab Unsinkable BBB affiliate commission anytime in October edition. Our EVERGREEN Unsinkable “Bounce Back BIG” funnel is ready to go! Fellow JVNP 2.0 Partner, we have taken many, many months to set it all up (and test like crazy) so it is a high-converting funnel (and it’s a long one too). I wanted to let you know that we will be opening it up to affiliates and JV partners starting October 1st. Not on board yet? Register as an affiliate and gain access to your promo tools here. In fact, to celebrate the launching of this new evergreen funnel, I’m going to hold a “Mini-Launch” in October (with some fun prizes). I know there are a lot of launches in October and so to accommodate you, if you’re interested, I am opening it up for the entire month of October (to give you lots of time and time slots to mail for it). …and that’s it (we’ll take care of the rest for you). 1. It is highly recommended you mail for BOTH the eBook AND the webinar registration page (to get the highest “show” rate to the webinar). 2. If you can only mail once, mail directly to the webinar registration page. 3. We recommend you mail for the eBook on a Saturday (if possible) as we have found that the opt-in rate is the highest over the weekend (and that’s also when people actually have time to read it). We want people to read the eBook, because if they do, they WILL show up to the webinar (we tested this). The webinar is where the sales happen. 4. The webinars air every Wednesday and Thursday. Please schedule your “webinar” email as close to those days as possible (i.e. Monday or Tuesday). Wednesday morning – remind them about the webinars airing (this is an optional mailing). Again, you can mail anytime in the month of October. We will be announcing a fun contest for the mini-launch shortly…so stay tuned for that too! In the meantime, please block the dates off in your calendars. >>> If you’re not already on board please register as an affiliate here to participate. Rare ClickBank High Ticket Product = Big Affiliate Commissions! LAUNCH: 27th September to 14th October 2016 with a $6.65 Average EPC on RAW Clicks and a 63% Opt In Rate plus £1,000 CPA also Proven In 3 Niches! Visit the JV Page for all the launch details -> Minesh Bhindi – Gold And Silver For Life 2016 JV page. We’re releasing the updated 2016 version of our flagship product Digital Product Blueprint, which enjoyed EPC to the sales video alone of over $20 and a refund rate below 10% during last year’s maiden launch, from September 15 – 29th, 2016 and we’d love to have you on board! Earn 40% of $1997 per sale affiliate commission + JV Contest Prizes, More. Eben Pagan – Digital Product Blueprint 2016 JV page. Michael Cheney is going to make you commissions you can’t refuse – 100% commissions on the entire funnel of the “Commission Cartel” launch as well as $20700 in cash prizes. Goes live Tuesday 11th October, get started here => Michael Cheney – Commission Cartel JV page. 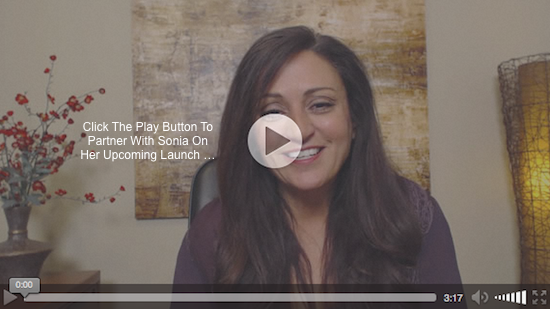 HUGE Commissions, $100,000 In Prizes, An Amazing Product & Killer Workshops! We Are Giving Away $50,000 in CASH For Our Sales Contest & $20,000 in CASH For Our Leads Contest! Doesn’t Matter Whether Your List Is Small Or Massive. Our Proven HIGH-Converting System & Amazing Groundbreaking Software Means Everybody Wins! Check Out The JV Page For All The Launch Details => Anthony Morrison – Mobile Optin 2.0 JV page. Spin Rewriter is the best article spinner out there. And because it’s the best, it sells like crazy… Earn RECURRING commissions. 50% for life. On all payments. You promote just once, you keep making money on auto-pilot … forever. Ready for the biggest IM/SEO launch of October? This short JV video gets straight to the point => Aaron Sustar – Spin Rewriter 7.0 JV page. New high-ticket EMAIL ALCHEMY launch offer kicks off Oct. 17. Earn crazy commissions of up to $4,500 per sale. 98% of your commissions paid within 7 days of cart close. Put world-class email marketing on auto-pilot for your subscribers with the ultimate tool-set for rapid list building and monetization. Daniel Levis – Email Alchemy Q4 2016 JV page. $40,000 in cash and prizes will be awarded to the winners of Daven Michael’s new Social Sonic Launch contest and we are giving away $15K plus a Porsche, Boxter to the affiliate with the top sales. Daven Michaels – Social Sonic JV page. Posted in Joint Venture Announcements, Self Help	| Tagged Affiliate Marketing, Affiliate Program, Affiliate Program Directory, Affiliate Programs, Attract Affiliates, Attract JV Partners, Best JV Brokers, Bounce Back Big, Buzz Builders, Evergreen, Find Affiliates, Find JV Partners, Home Business, Internet Marketing, Joint Venture Blogs, Joint Venture Forums, Joint Ventures, JV Announcements, JV Blogs, JV Forums, JV Invite, JV Launch Calendar, JV Product Launch Calendar, JVNewsWatch, JVNotifyPro, Launch, Make Money Online, Marketing, Mike Merz Sr, New Product Launches, Niche Marketing, Online Business, Product Launch Calendar, Sonia Ricotti, Unsinkable, Webinar, Work At Home	| Comments Off on Sonia Ricotti – Unsinkable Bounce Back Big Evergreen Webinar Launch Affiliate Program JV Invite, More.